I've been meaning to make this post for months and months now, I just have struggled to find the time to get on with it! You can do this with anything! 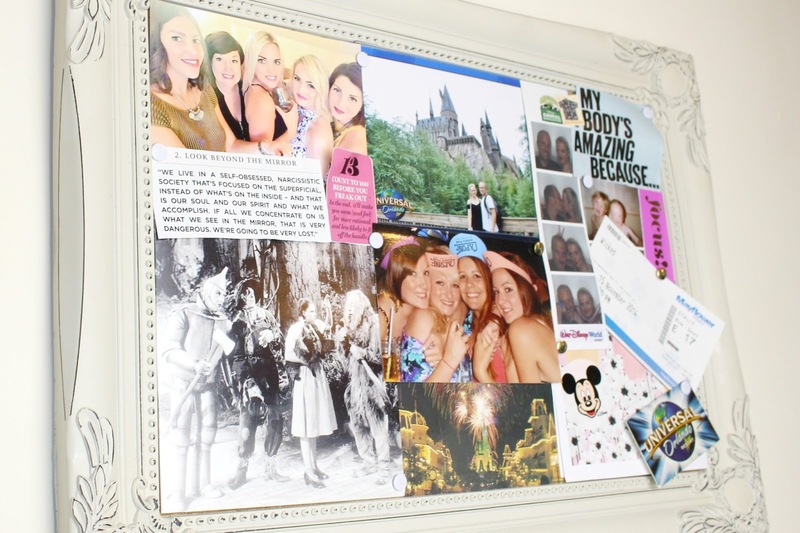 If you have a goal you want to reach, saving for a holiday, counting down to your wedding, need a bit of motivation for work or maybe just want to fill the board with happy memories that make you smile - everyone needs one of these! 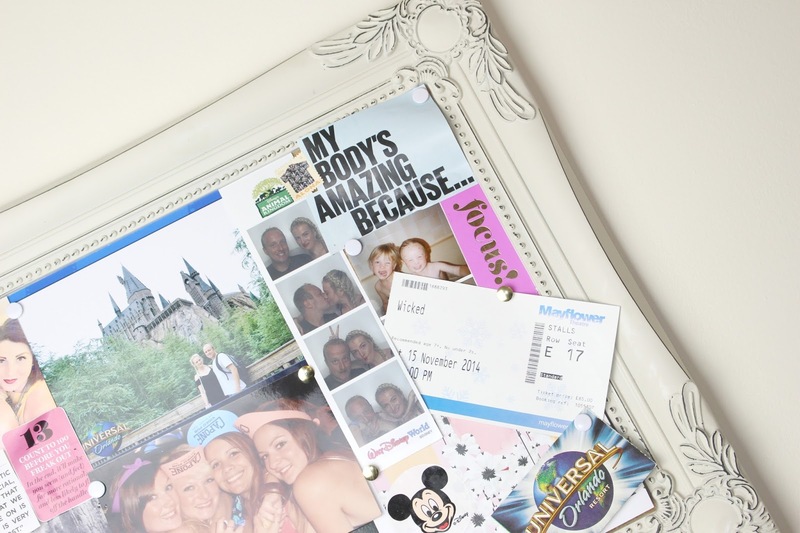 As you can see I filled mine with all sorts of things - fun photos of holidays, friends and family (how cute is the one of me and my little Brother when he has chicken pox haha! 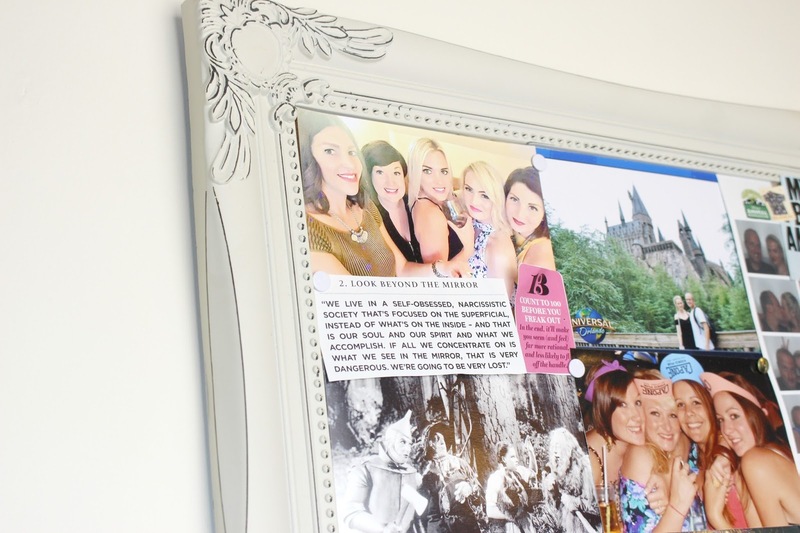 ), quotes from magazines that I love (especially that Cameron Diaz one!) - tickets from fun events, a card of my favorite movie The Wizard Of Oz and lots of little hints at ORLANDO to remind me that it won't be long until I'm back there #MotivationToSave! What do you think? Is this something you would make yourself? Let me know! 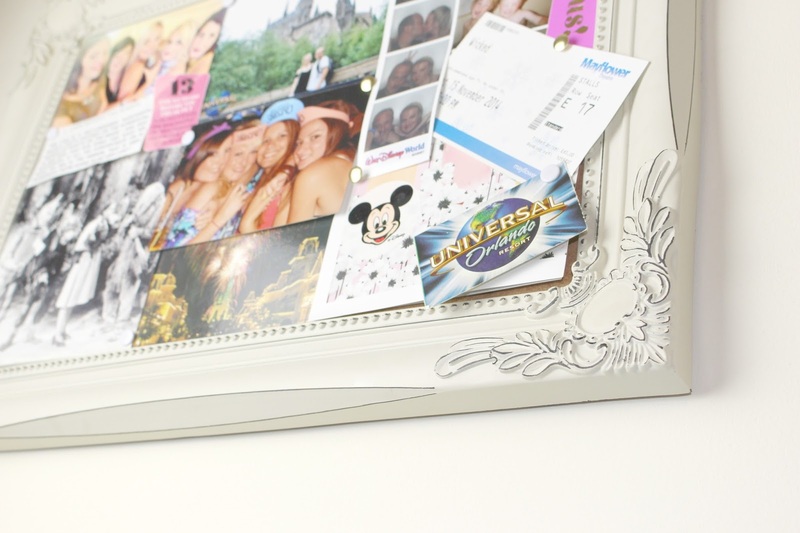 This is such a cute DIY idea, I love your board!